In need of a quick and easy DIY gift for a tween? 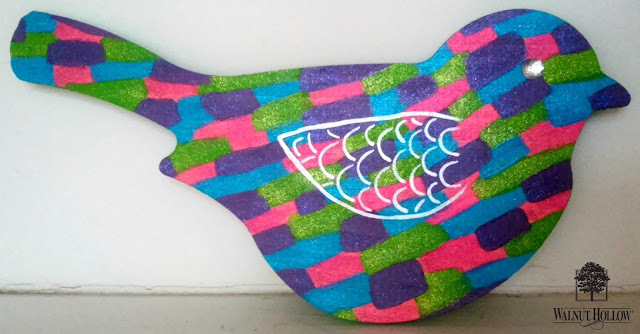 Then, my Tween Patchwork Wood Bird Wall Art tutorial on Walnut Hollow, is for you! Seriously, this thing took maybe any hour. I used DecoArt Americana Acrylics and Glamour Dust Glitter paints for the patchwork, Media Metallic Fluid Acrylic in Silver for the wing, and a dab of E6000 to attach that gem, onto a Walnut Hollow Rustic Bird. You can change the colors to suit the tween in mind. This particular birdy matches my daughter's bedroom, where it currently lives. 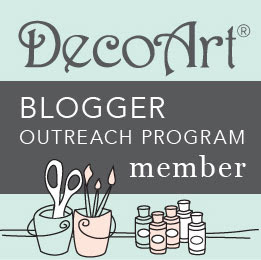 Walnut Hollow and DecoArt provided me with their products to create this project. Walnut Hollow paid me to create this birdy and tutorial, for their Handmade Holidays Blog Hop.